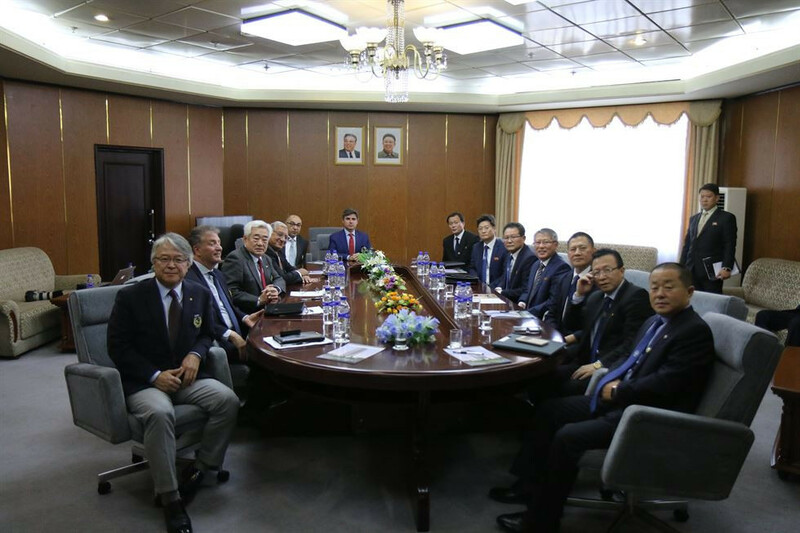 World Taekwondo, under the leadership of South Korean Choue Chung-won, 71, and the ITF, led by North Korean Ri Yong-son, agreed to create a joint organisation by the end of this year that would help them narrow their differences in governing the sport. At their meeting scheduled for Saturday and Sunday (December 14 and 15), the two sides will discuss details of the accord, including the name and short-term objectives of the joint organisation. World Taekwondo executive deputy secretary general Kim Eil-chul told the Korea Times that taekwondo fans around the world would see "real change" when the joint World Taekwondo and ITF demonstration team performed next year after months of training - a significant step forward from their previous joint performances by separate teams. "It will be very meaningful to see them perform as a single team in Lausanne next year in celebration of the 25th anniversary of taekwondo as an Olympic medal programme," Kim said. "The International Olympic Committee (IOC) is welcoming the idea and the three parties are now in talks over the schedule, which is expected to be in either April or June. "The joint demonstration team will get better and better as South and North athletes spend more time together. "Our hope and expectations are that they will be able to showcase their perfect teamwork and unity to the world at the 2020 Tokyo Olympics." Kim added that taekwondo can be "an inspiration and a catalyst" for the unification of North and South Korea. 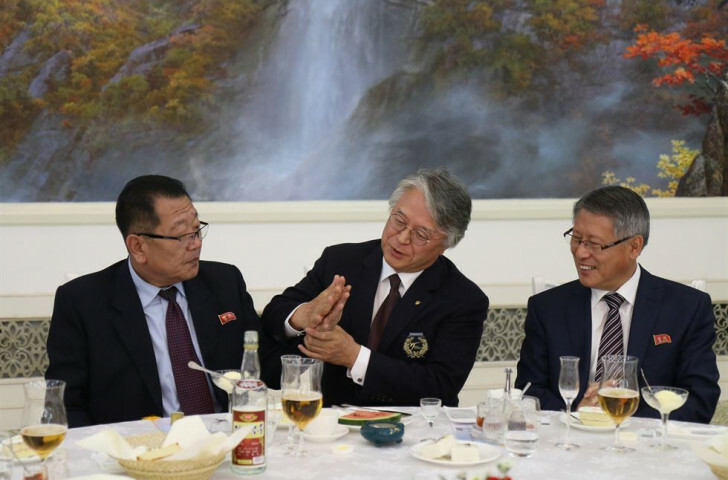 "Unification of taekwondo will have significant implications for everyone in Korea who wants their country unified eventually," he said. "It is important to note that what we are trying to achieve is not unifying two different kinds of taekwondo; rather, we are trying to recover its original oneness." Kim claimed the joint team will take the strengths of both styles and improve them into a new one. "Integrating the game rules and certification systems of World Taekwondo and ITF will take some time," he added. 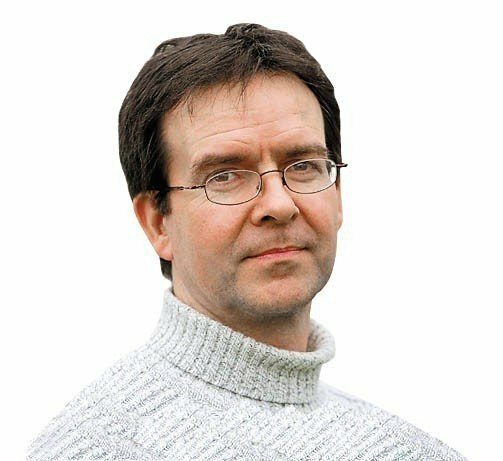 "But in some areas, such as para taekwondo and freestyle poomsae, the two organisations can narrow differences relatively easily." "It got off to a good start when the demonstration teams of World Taekwondo and ITF performed together for the first time at the 2015 WT World Championships in Russia's Chelyabinsk, and we took another step forward at the 2017 WT Taekwondo Championships in Muju, where President Moon Jae-in came to congratulate World Taekwondo and ITF officials for their efforts," Kim said. Later in 2017, however, inter-Korean relations soured with North Korea's nuclear weapons development. As a result, WT and ITF cancelled their joint events in Pyongyang and the Vatican. "It was a bitter disappointment," Kim said. But their relations and the project took a dramatic turn after Pyeongchang 2018, which were attended by top North Korean officials, including leader Kim Jong-un's sister Kim Yo-jong. Last month World Taekwondo and ITF performed spectacular joint demonstration in the North Korean captal Pyongyang. Kim said one of the most rewarding things for him was to see natural smiles on the faces of some North Korean officials, whom he once thought would never "unguard" themselves in any way. "In Pyongyang last month, I really had a great time with them," he said. "It was much more natural and pleasant to meet them than before. On our friendship and trust, we will continue to work hard and, in one way or another, unify taekwondo."